It's A Dan's World: LEST WE FORGET: Hey Marvel - Darkhawk! 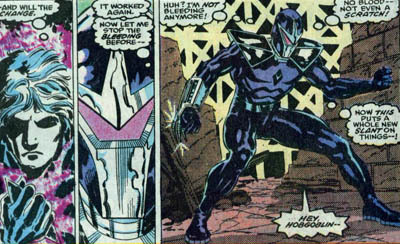 LEST WE FORGET: Hey Marvel - Darkhawk! Despite having a first class ticket to ride, some of comics best often get left to wonder the platform aimlessly. In Lest We Forget, I pluck a limbo-lingerer from the station and pimp their reason to return. As it's my Birthday month, I'm picking the one hero I miss more than anyone, human or inhuman; Darkhawk. Long before Ed Brubaker and Sean Phillips' Fatale combined the streets with the stars (you are reading that book aren't you? 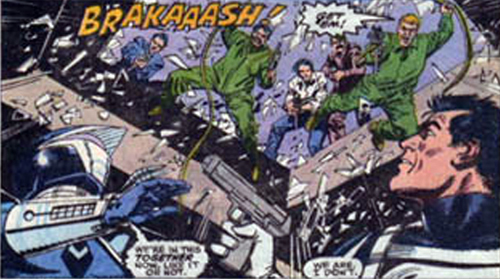 ), artist Mike Manley and writer Danny Fingeroth were beating them to the punch on a monthly basis here. With a mystery laden adventure of mob bosses, their mixed up daughters, crooked cops, galactic threats, psycho brothers, and more, Darkhawk may have been non-alcoholic, but it sure left you giddy after each sip. Chris(topher) Powell was your average Marvel teen with double Marvel's usual load of responsibility. Helping hold his family together after his cop father took a bribe from mob boss Philippe Bazin and stumbling across a cosmic amulet that transformed him into the Darkhawk, deciding to use it to become an edge against crime. The Darkhawk was an android body that could fire force blasts and fly, among other numerous abilities, yet the ultimate accessory was also the ultimate object of desire for both sinister forces local and galactic. Reading the first two dozen issues of Darkhawk, it's obvious Marvel was lining him up as an aire to the all important Spider-Man throne. A concept with plenty of mileage and high-profile exposure, Darkhawk teamed-up with Ghost Rider, Punisher, Venom and Spider-Man, joined both the New Warriors and Avengers West, and squared off against X-Men foes The Brotherhood of Evil Mutants. Twist after twist followed as Chris discovered the truth of his father's actions and fought the likes of Evilhawk, shadow police unit The Cabal, Portal and Bazin's super powered bodyguard Lodestone. Watching him help his now solo mother look after his brothers and survive the attempts on their life as she pushed to prosectute Bazin, was riviting stuff. As long as Darkhawk was re-established with the right mix of the streets and the stars, I'm adamant the 'Hawk could be again. HOW I’D BRING DARKHAWK BACK: Easy - Marvel Knights. I think Marvel's idea of a line where new talent took risks on established characters with fluctuating exposure and fanbases was one of the best the industry has seen. 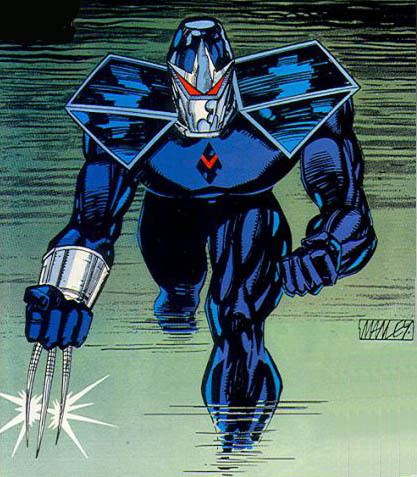 Kick off a new wave with Darkhawk, Beast, Deathlok and maybe even a few new and fresh characters/ titles, and a rebirth for Darkhawk could also provide the same for Marvel Knights. Yeah it's a shame Marvel hasn't done anything with DH since War of Kings. But he was only used because Abnett and Lanning love using obscure/2nd-tier characters. I don't see why there shouldn't be an MK mini- or one-shot, so yeah bring it on. And while they're at it, give us a proper Marvel Legends Darkhawk figure! There's an MU one, but I want a 6 inch one. Yeah, that didn't sound right. Damn! Ha! Thanks for backing my idea up Dale! I'd like to grab a decent DH too - one as close to how Mike drew him as possible. I don't really dig the look of the latest suit of armour. If anything, I think Marvel and DH need to backtrack a bit. Here's to more Marvel Knights and Dale's request for a 6 inch! Ha ha! You crazy Kiwi-lover! You know you've got my support for a Darkhawk resurgence! They did something with Darkhawk a few years ago tied to WAR OF KINGS. Not sure if it was any good. For me Shag it went too cosmic. But hopefully the sales there don't put Marvel off the concept for long!